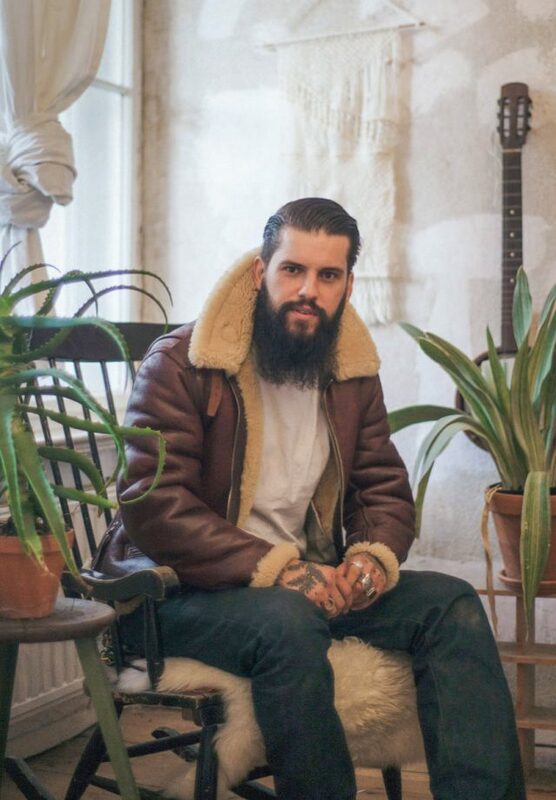 Kevin Meunier is a stylist and french export with a taste for vintage clothing. 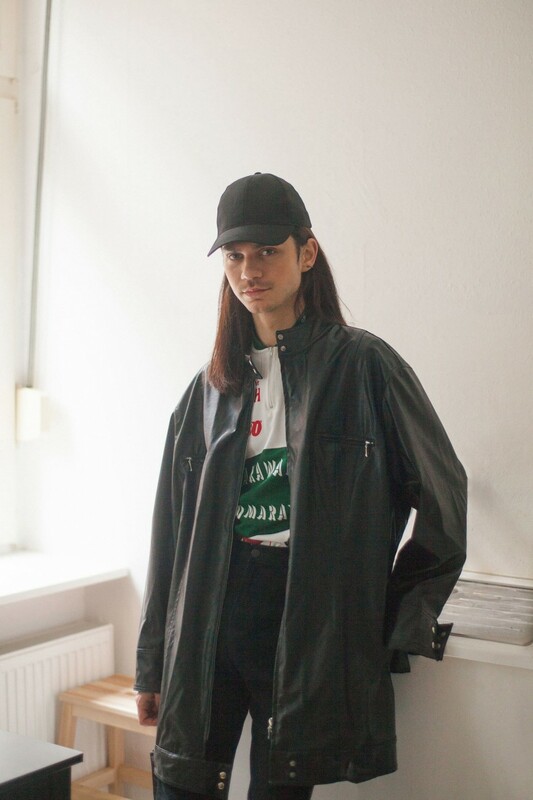 We met him and talked about fashion’s contradictions when it comes to feeling integrated and free in Berlin. Œ Magazine: Can you recall the first time you were conscious about what you were wearing? Kevin: Yes! When I moved to Berlin from Lyon four years ago. I remember being quite frustrated in France: gay men and men who love fashion aren’t exactly well seen over there. 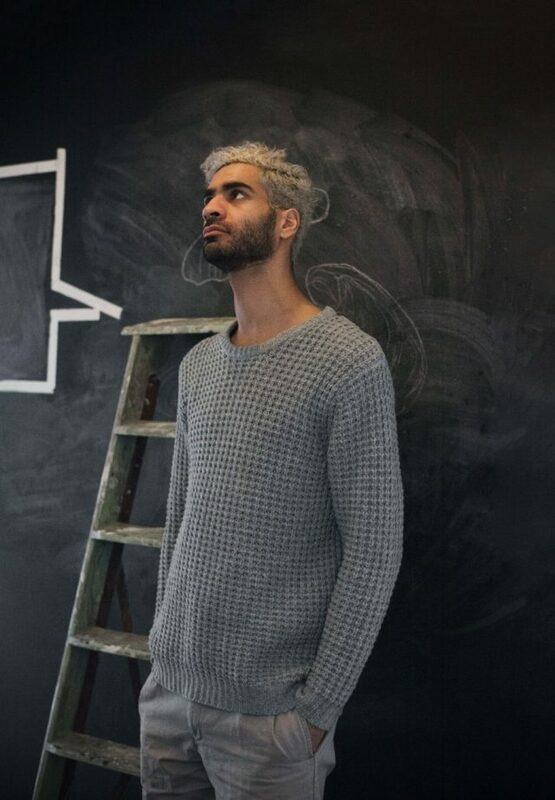 Moving to Berlin really helped me express myself and find my style. It’s such an open-minded, tolerant city… So, to get back to your question, I suppose the first time I was fully aware of my outfit coincides with the first time I went out in Berlin. It was a Sunday and I was at Berghain. I remember being really into 90s style at the time— Spice Girls, fake tattoos, and yin-yang t-shirts (laughs). That was also the first time I felt comfortable in my style and accepted for who I was and what I wanted to express. Œ Magazine: It sounds like the awareness kicked in when you stopped meeting other people’s expectations concerning your clothes. Are you preoccupied with building a consistent style to reflect your identity? Kevin: Yes. Well, I guess my identity is changing and evolving all the time, so I like to change my style as well. I’m not after a timeless look and my mood definitely plays out in the way I dress. Some days I love to be and look like this open-minded person and wear something extravagant and other times I rather want to come across as this reserved, mysterious looking guy. Œ Magazine: How would you describe you style? Kevin: Sophisticated street wear. I like black and leather and enjoy looking sleek but I also really like sportswear, hoodies or white t-shirts. I wear a lot of denim. Œ Magazine: What is it you pay the most attention to, when you get dressed in the morning? Kevin: It really depends on my plans. On ordinary days, where I’m not on set and work on my laptop, go grocery shopping and see my boyfriend, I wear jeans and a t-shirt. But, when I have dinners or work on shoots, I love to catch the attention. Something I ask myself in the morning, “who am I going to meet and what was I wearing the last time I met them? Did I already wear this to a club?” I actually have an app on my phone that’s called “Dressed and Date” that is super helpful. What you do is, you take a selfie where your outfit is recognizable in the morning and then synchronize it with your calendar. So for example, if you are having dinner with your friend Sophie, next time you meet her you will know what you wore the previous time. Œ Magazine: Ah ah, very clever. I want this app! So you wouldn’t want someone to see you in the same outfit twice? Kevin: No. Of course my close friends see me in the same outfit every now and then, but when I go to a public event or to work, I like to reinvent myself. Œ Magazine: You mentioned Berghain earlier. Is that a place where you care about representing yourself more then elsewhere? Kevin: Somehow yes. Berghain is a place where I used to go a lot. I would get a lot of inspiration there because it reunites and bonds people on so many levels…These days I’m not so into it anymore, but every now and then I still like to go and when I do I’m thinking about my outfit two days before! 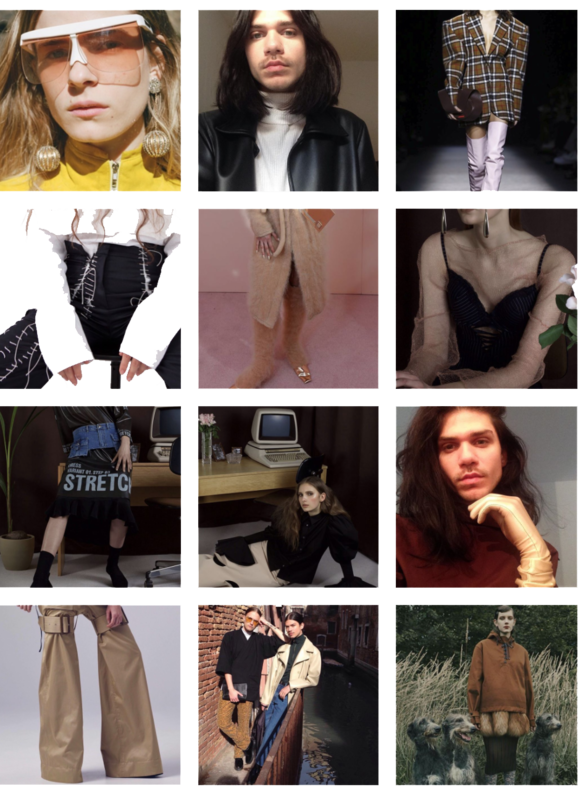 Œ Magazine: What inspires you, fashion-wise? Kevin: I’m very inspired by fashion weeks. I love to wear what is on the runway. Whenever I like a collection, I run to a second hand shop right after the show and try to find the same outfit and ways of reinterpreting it. Œ Magazine: I’m interested in your thought process here. Would you say, that by doing so you subscribe to the designer’s statements and narrative or that you pick the runway styles to underscore your own message and tell your own story? Kevin: I suppose it’s about finding the overlap between the designer’s message and your own, and making something exciting out of it. I could say, I almost have a relationship with my favorite designers. Œ Magazine: Who are they? Kevin: J.W. Anderson and Demna Gvasalia for Vetements and Balenciaga. I really follow what they do. Gvasalia is making a revolution. I just really like the attitude he is giving to the clothes and the kind of society he is trying to build out of his fans. This vibe is something new. I’m so happy to see young people being this passionate about fashion compared to before. Thanks to this, I feel more integrated, less misunderstood. I can talk about fashion with random people and chances are they will have heard of it. Because you see it everywhere, on Facebook and Instagram. Œ Magazine: Do you feel like your style has changed a lot since you moved here? Kevin: Absolutely. I think I update my style every year. In the first part of my wardrobe, I keep a lot of J.W. Anderson 70ies inspired looks and now I’m getting more and more into sportswear. Œ Magazine: Do you own something that feels very “Berlin”? Something you can always go back to when you have a bad hair day in Berlin? Kevin: I would probably go all black. Just simple black leather pants and a black t-shirt. 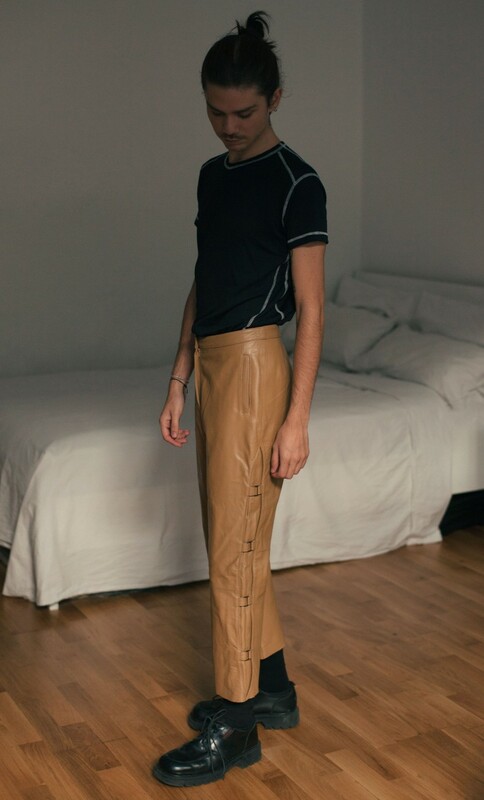 Œ Magazine: Why do you think this ensemble works on those days? Kevin: Because it’s safe, On those days I like to show that I have long legs and balance my silhouette with an extra large top and big shoes. I look like a Q-tip. When I was a kid they used to call me cotton swab all the time. 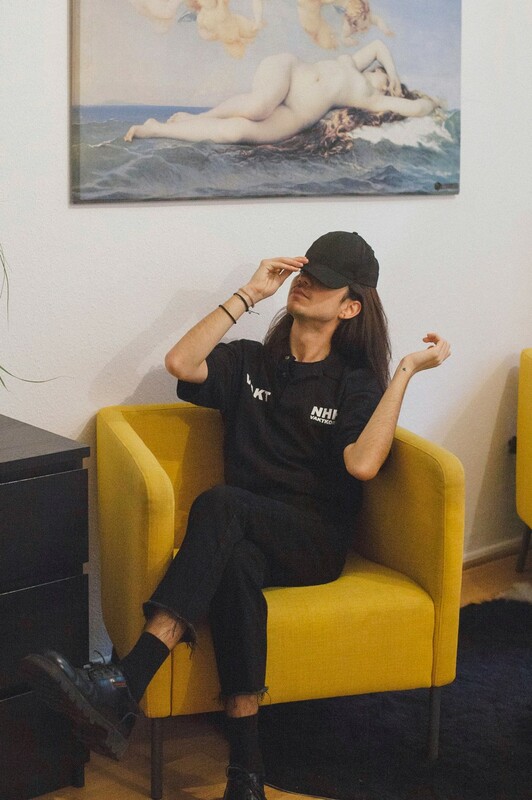 Œ Magazine: The total-black look is very popular in Berlin. How do you feel about that? Were you wearing all black before moving here? Kevin: No. It’s definitely something I started doing here. At first, when I went home to visit from Berlin, my parents would call me goth and ask if I was sad! I would say: No! It’s just the style I’m going for and maybe tomorrow I’m going to be wearing all red. I don’t like how it became so mainstream though, and how people who “don’t know” are wearing black simply to get into the clubs. Four years ago it was not like this. People would wear black to kind of belong to a certain group and I liked the vibe. 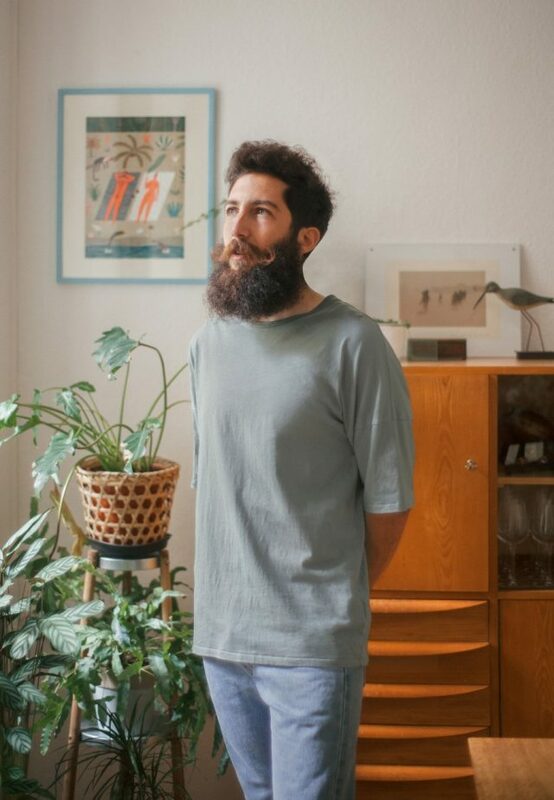 Œ Magazine: Do you feel like fashion plays a big role when it comes to belonging to a group or scene in Berlin. More then in other cities? Kevin: Oh yes! You can really tell to what scene someone belongs by looking at them. It sounds very superficial, but people are judging other people by their looks all the time. I think it’s kind of primitive, but it’s real. 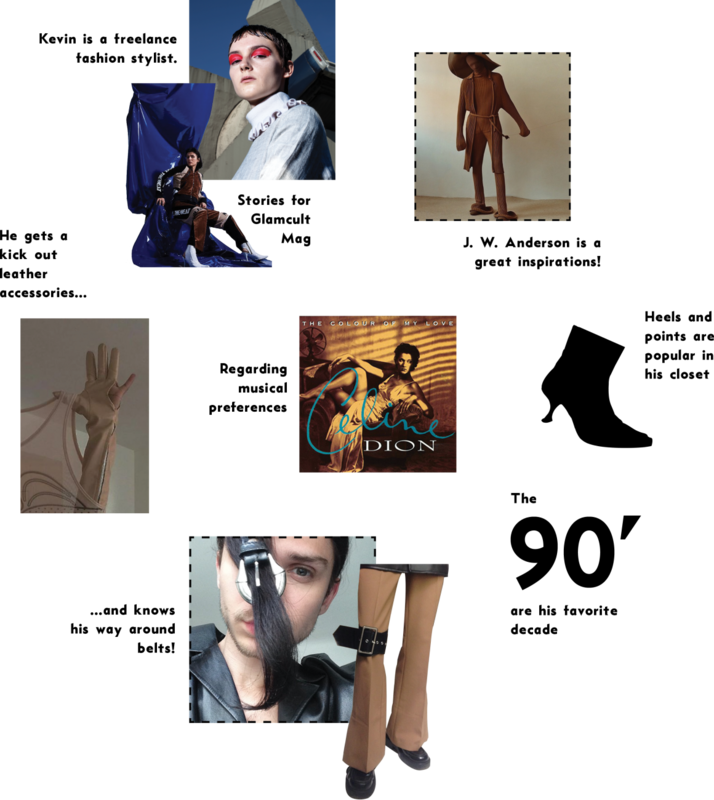 Œ Magazine: Well, every time we put something on our body, we are choosing something over something else, so, if anything, it makes sense for these choices to reflect bits and pieces of our personality, don’t you think? Kevin: Yes. It’s bizarre, though. Earlier I said people are very open minded in Berlin when compared to, say, Paris, but as I hear myself answer your questions, I realize there is also a wired rigidity when it comes to meeting certain subculture criteria / requirements. Of course, if what you are wearing isn’t glamorous or sophisticated that doesn’t mean you are less of a cool person. But I feel like that’s a common mindset. 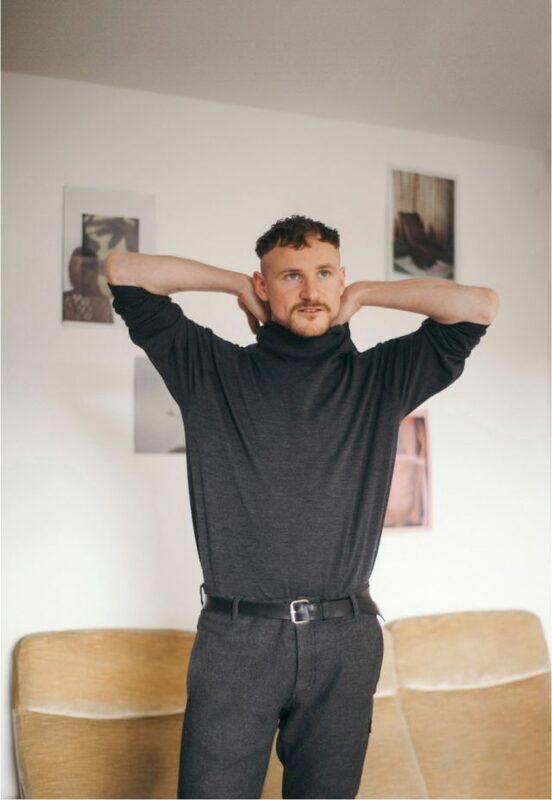 Œ Magazine: Well, there’s obviously more to a person than meets the eye, but I’m very fascinated with people who can read into a strangers attire and make realistic assumptions about their lifestyle! That’s why we are here, and I want to get to the bottom of this. So can you give me some examples? 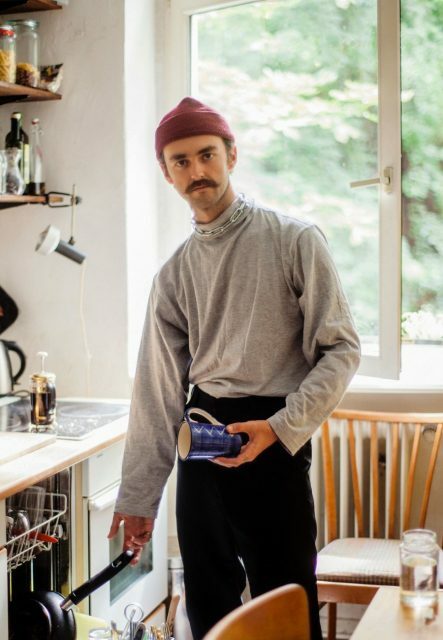 Do you remember seeing or meeting someone in Berlin and being able to tell certain things about their personality by looking at their outfit? Kevin: More like, I remember seeing someone and thinking,”We clearly have nothing in common, she won’t understand me and I won’t understand her, so I’m going to stay right here” only to find out what an amazing person that actually was. It’s crass. The fashion aware people judge the not-so-fashion-aware people and the other way around. They think of us as of fashion victims or whatever. But I think it’s so important to break through this wall of prejudice. Œ Magazine: Do you ever admire other men on the street? What catches your eye? Kevin: To be honest, I’m way more inspired by the ladies, only rarely by men… Plus, women’s wear is just way more assorted and articulated then regular men’s clothes. What I notice in men is the hair or the beard, the attitude. Œ Magazine: Do you shop in the women’s section a lot? Kevin: Yes! I’ve pretty much been hitting the women’s section only. I look for big sizes though. You know, it’s not about looking like a girl or a drag queen (although I respect them – it’s just not my thing). I like to wear women’s clothes but still have a masculine allure, I try to look like a boy in girl’s clothes. Œ Magazine: Are you addressing something political through your personal style? Kevin: Sure, but not always intentionally. What I mean is: I wish it wasn’t political but feel like anything that means freedom to me but makes other less open minded people uncomfortable, for example men dressing in androgynous ways, is political!